An employer has won an appeal against having to make redundancy payments to employees who were unwilling to relocate to a new workplace. EasyJet has compensated an air hostess who was sacked for eating one of the company's bacon sandwiches that was given to her by her manager. In a world where business is increasingly conducted online, customers are choosing to turn to the internet in order to share their experiences of all manner of commercial transactions. This ranges from rating their plumber to ranting about poor service from their utilities provider. Why Do You Need Limited Liability? Limited Companies are the vehicle of choice for most owner managed businesses. 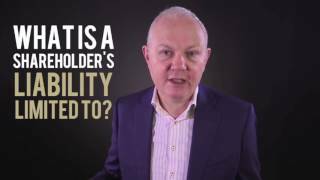 In our latest video we look at limited liability - it does what it says on the tin!